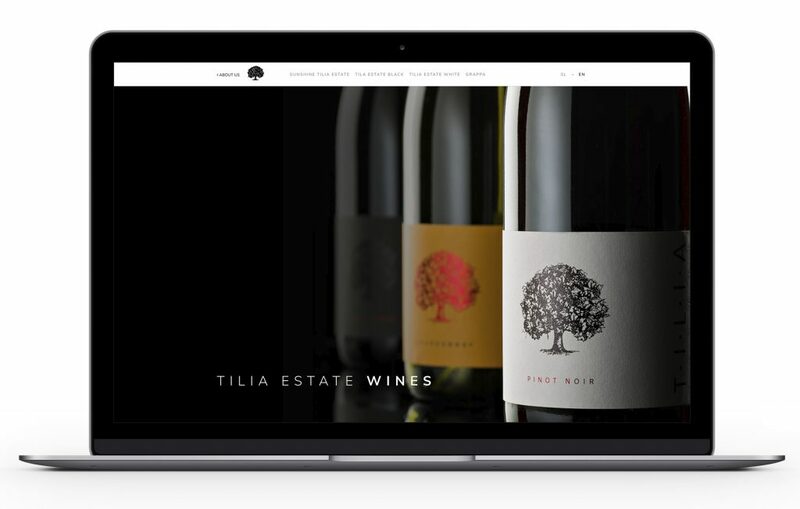 The new TILIA ESTATE.SI web page was the last building block in the TILIA ESTATE brand system, which we had been working on since 2015. 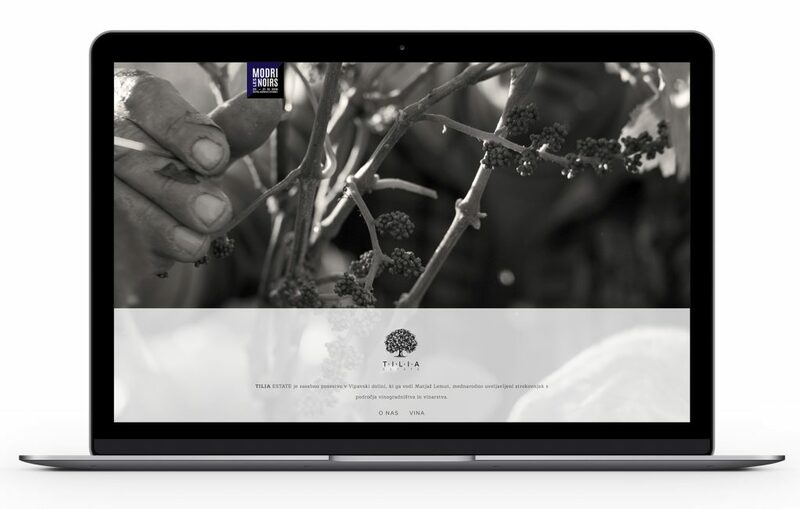 Its content is separated into two parts: the first part presents the role of the winery and its founding driving force, Matjaž Lemut, in the local, national and global world of winemaking, as well as his efforts to develop Slovenian pinots and establish their recognisability. 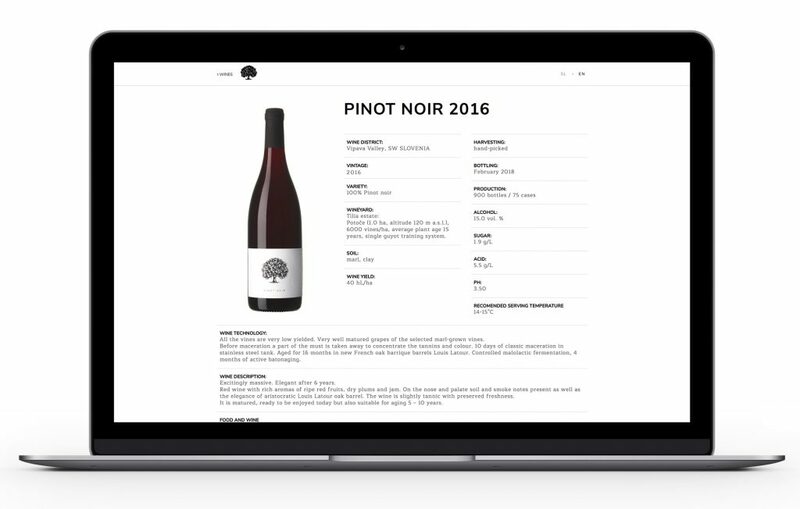 The other part of the web page presents the array of different wines produced by the winery. 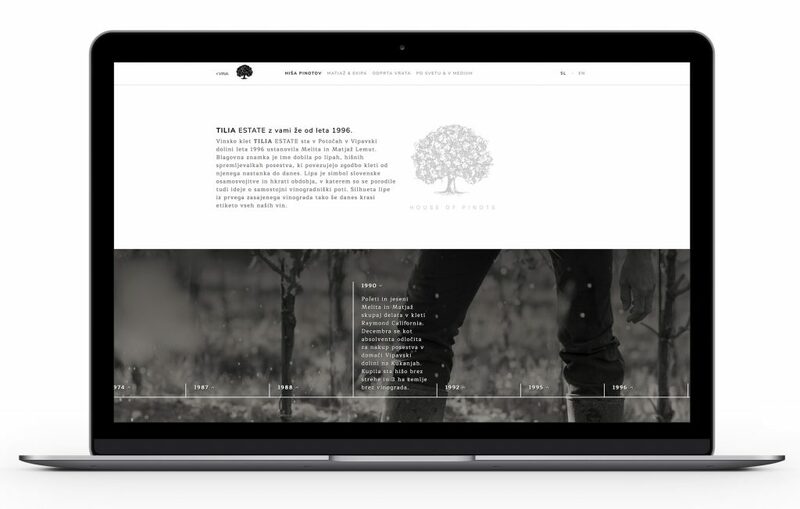 Design-wise, the project was predominately focused on a visually clean design and is based on our concise texts and photographs by Jaka Babnik.